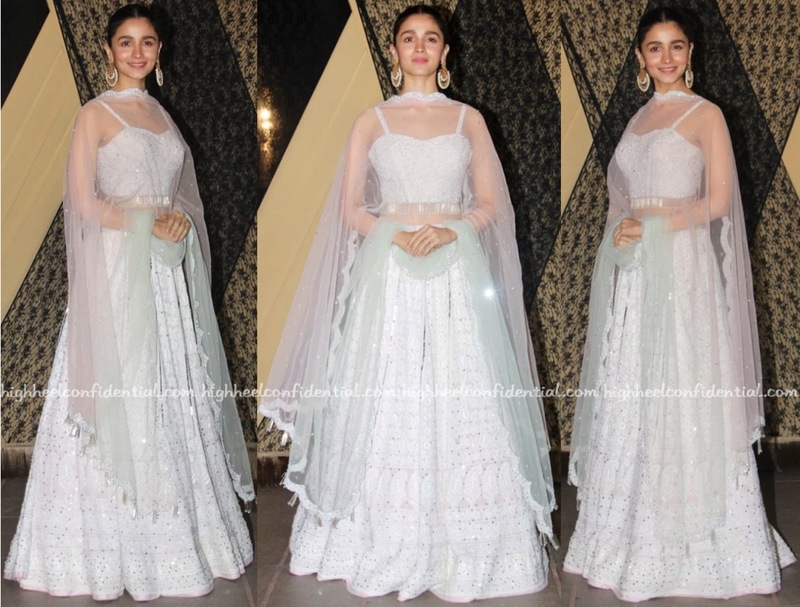 For her cousin’s wedding reception, Alia picked a House Of Chikankari lehenga to wear. 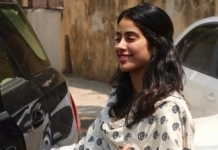 Dewy make-up and chandbalis from Amrapali rounded out her look well. She looked lovely! It’s a reception…white and black are commonly worn colours. Chill. No, they are not common colors for celebrations and festivities… Look around beyond Bollywood and you would know. Well my comment is about reception colours, and black and white are very common since it’s just a party after the actual wedding. The lehengha is okay, but the choli with its tassle trim looks a bit odd. I feel like she was inspired by Kareena’s ethereal Anita Dongre look at the Ambani-Piramal wedding reception. Seriously, white at Indian weddings needs to go. The top is awful. Seriously. You need to chill. Kanika Kapoor always add some tacky element to otherwise elegant chikankari. Here the strappy blouse is spoiling the look. It’s not her own style.. She is copied Deepika & Kareena here!! The blouse looks like a western spaghetti crop top. That’s not the choli worn with a lehenga as far as I know. Tacky! The look is quite lack lustre. She looks pretty, but that top with the tassels looks bad and tht dupatta looks, for the lack of a better word, cheap! Trishanku was doomed to be suspended between heaven and earth, but as earrings?! The Bhatt family has very tacky and tasteless dressing sense.